We have excellent, modern building facilities, including twenty two classrooms – all with reverse cycle air-conditioning, an authentic looking Japanese room, a canteen, extensive library, well-resourced music room, beautiful and well equipped outdoor areas, sports equipment storage, office area, staff-room and uniform shop. Our school office area located at the entrance to the school provides a welcoming and helpful environment for all parents and students. Our wonderful office team is always happy to assist with any queries or concerns you may have. The school office is open between 8.30am and 3.30pm, Monday to Thursday. Friday office hours are 8:40am to 3:30pm to allow for a whole staff prayer. Our Canteen is open every week on Wednesdays and Fridays for both lunch and fruit break. The canteen menu is filled with a variety of healthy choices. Our canteen manager organises a special “Meal Deal” for students at the end of each term and other fun food days throughout the year. 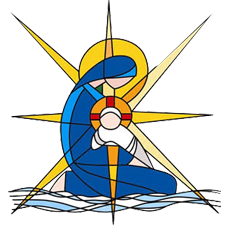 The school is fortunate to be situated on the same site as Our Lady Star of the Sea Parish Church and Parish Hall enabling a close link between the school and the Parish community. It enables our school community to widely embrace our faith and is regularly used by the school for masses, our sacramental program and other celebrations. We have twenty two well equipped classrooms with a variety of resources designed to engage and enrich the learning experience of each student. Every classroom has interactive whiteboards, ceiling fans, all with reverse cycle air conditioning, wet area, ample storage space and a range of desktop and laptop computers enabling an effective teaching and learning environment. The school has wireless connection throughout which allows for a flexible use of technology to be incorporated into all learning areas. There are several iPad ‘pilot’ classes with the devices immersed in high student to device ratios, and exciting plans to grow this across the school. This is further enhanced with the use of Apple TVs creating a dynamic learning experience for our students. 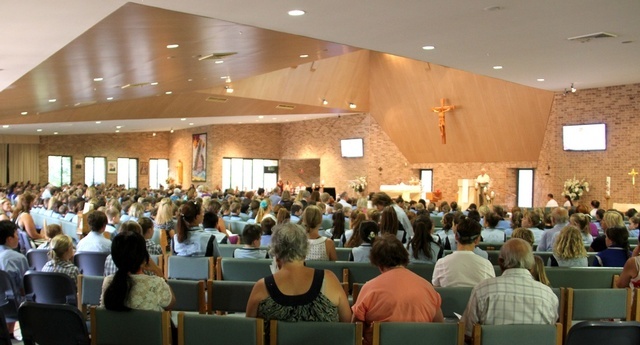 Our school is fortunate to have the use of the Parish hall situated on the same site as the school and Our Lady Star of the Sea Parish Church. The hall is a well equipped area which includes ample storage, a stage, sound system, projector and WiFi allowing it to be used for a variety of purposes. 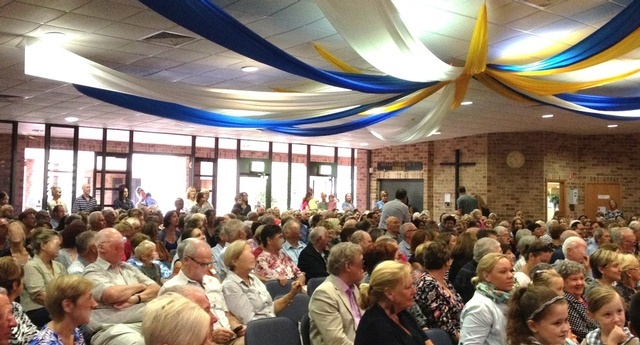 The school uses the hall regularly for weekly assemblies, presentations, school information nights, school discos, concerts and various other activities. Camp Australia operates their After School Care program from the hall. 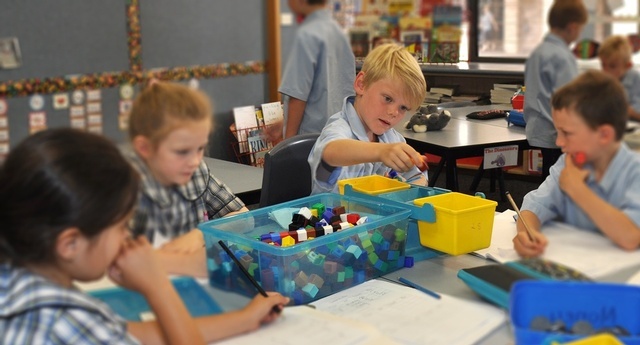 Our Learning Support teacher is actively present in classrooms supporting both students with specific needs and equipping teachers to cater for all students in an inclusive approach to special needs. A team of Learning Support Assistants complements programs to support students – each of whom works closely with classroom teachers. Our library is a large, attractive and busy space, centrally-located for ease of access. We have an extensive selection of books and resources including computers for students to access before, during and after school. They are welcome to borrow books, read, research, play games at these times. 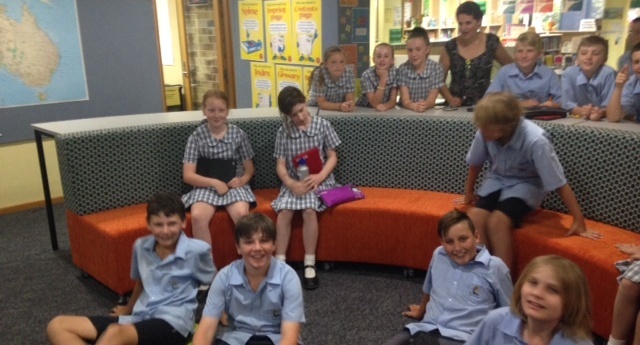 Students also have weekly, formal library lessons so they can borrow regularly. We also have an online library database “Destiny” so students can browse the library collection at home to find just the right book. 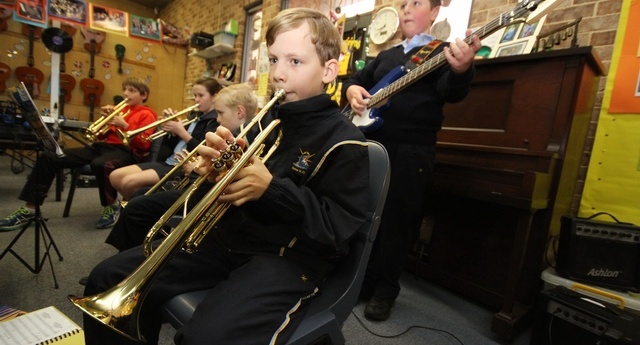 The Music Room is comprehensively resourced and fully equipped with a diverse range of instruments and sound system. The students have formal music lessons once a week. Our band also operates out of this room each week, performing at concerts, assemblies and special community occasions. Click here for more details regarding our band. 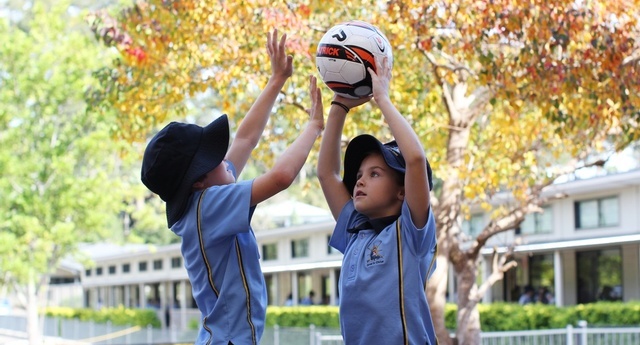 Our school offers a number of different playing areas enabling students to develop a variety of skills while encouraging free and active play. Our upper playground is a paved area with marked handball courts, playground art and undercover lunch seating. Our lower playground consists of a shaded area equipped with formal play equipment designed to encourage active play and participation. We also have a basketball area for students to enjoy. We have a large grassed oval where students are rostered into the different areas to enable maximum use and supervision. The infants section includes sandpits, slides, a cubby house, boat, and interactive outdoor play equipment designed for students to explore and learn from. Our school uniform is supplied by Alinta. 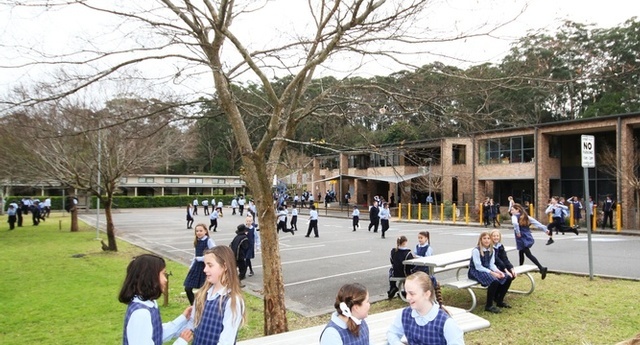 Alinta have a small shop located within the school grounds where parents are able to purchase our school uniform. A change room is also offered to enable students to try on the various sizes prior to purchasing.